A leaking pool or spa / hot tub can be a frustrating and costly problem for Outer Banks vacation rental owners as well as private residents. Finding the source of that problem can be just as frustrating and costly with out the proper tools and knowledge. Here at Aquarius we are located on the northern beaches of the Outer Banks. We have the tools and training to find any and all different types of leaks in your pool or spa. Once we locate the leak we have years of experience fixing, patching, or replacing the problem area to stop the leak. A couple ways we do this is with pressure testing, dye testing, and sonar. Here on the Outer Banks were everything is built on shifting sands. When a pipe gets broke under the pool deck we use sonar listening equipment to scan the suspect area for the leaking pipe. Once we locate the leaking spot we cut out, and dig down so we may replace the broken pipe with minimal destruction of the pool deck. Yet another way we look for leaks in your pool or spa is through dye testing. This is common with cracked or punched pools. We add dye to a suspect are and follow it to the leak. Once we find the problem we are dive certified so we may go and fix the problem quickly. If the source of your water loss turns out to be well below the surface of the pool, we are able to dive down and patch, plug or replace the problem area without lowering the water level of your pool. 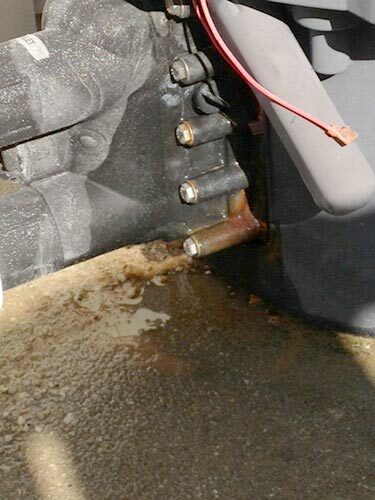 These are just a couple of ways that we find and repair problem leaks in pools and spas on the Outer Banks. We service all of the Outer Banks with our first class leak detection service. From Hatteras to Corova and all towns in-between. Call us today so you may stop adding water tomorrow.